Dr. Pelto's Blog: How do you cut the bone when I have an Austin bunionectomy? How do you cut the bone when I have an Austin bunionectomy? An Austin bunionectomy is a bunion surgery that’s done on great toe joint. 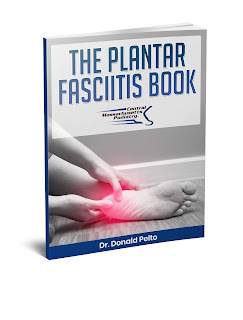 It’s one of the most common ones that are done by podiatrists. The way the bone cut is done, it’s done in a V format, kind of laying on the side of the bone. So if you look at the head of the bone, you cut through it on the top and on the bottom with a V that allows you to put a screw in it and that’s how the cut is done. It’s a very common cut. It’s much more stable than if you go straight through, because that can lift it up or down.